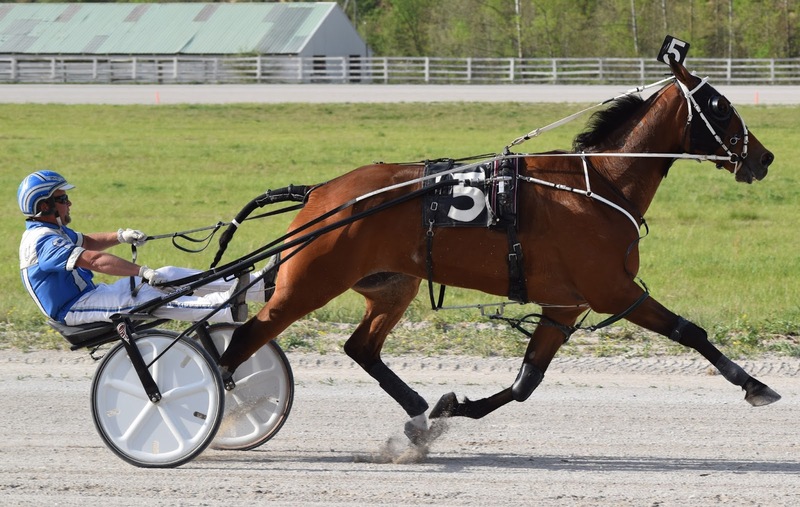 Horses must have a current (12 month) Coggins test, a 10-day federal health certificate, and proof of EHV (Equine Herpes Virus) shots within the last 6 months. 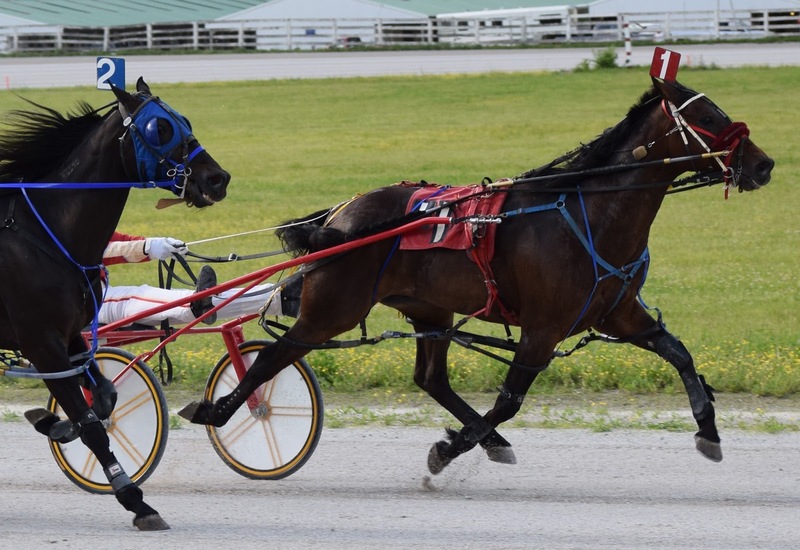 Qualifiers will be held on Tuesday, July 18, 2017 and Friday, July 21, 2017; enter the day before by 9:30 am. 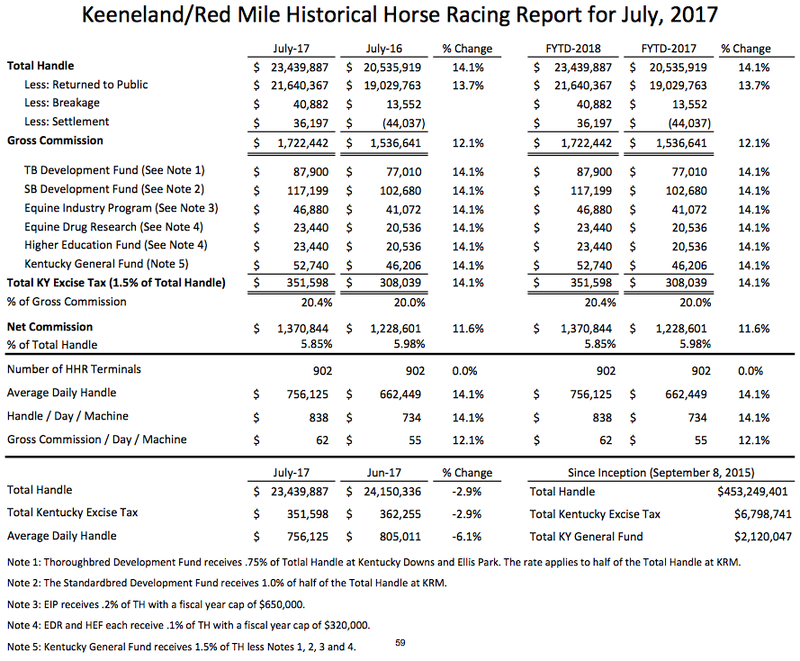 First draw day will be Monday, July 24, 2017 for Thursday, July 24. 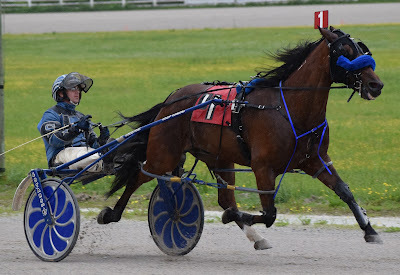 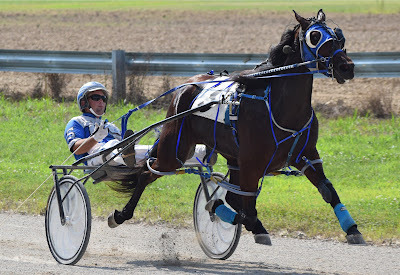 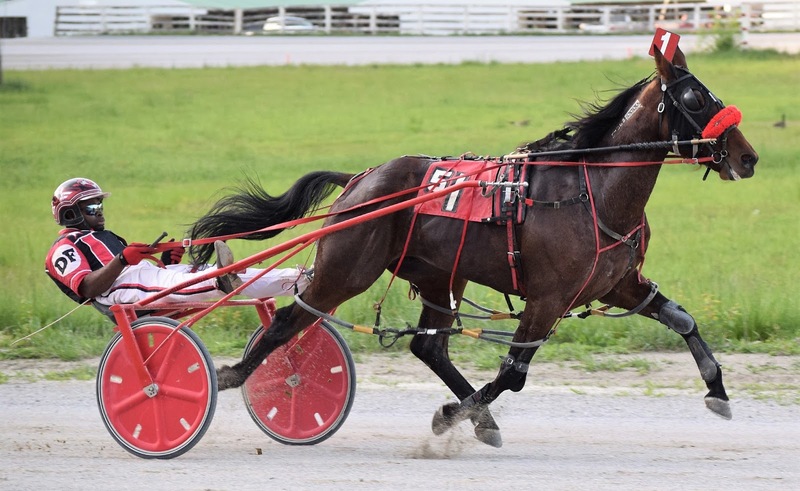 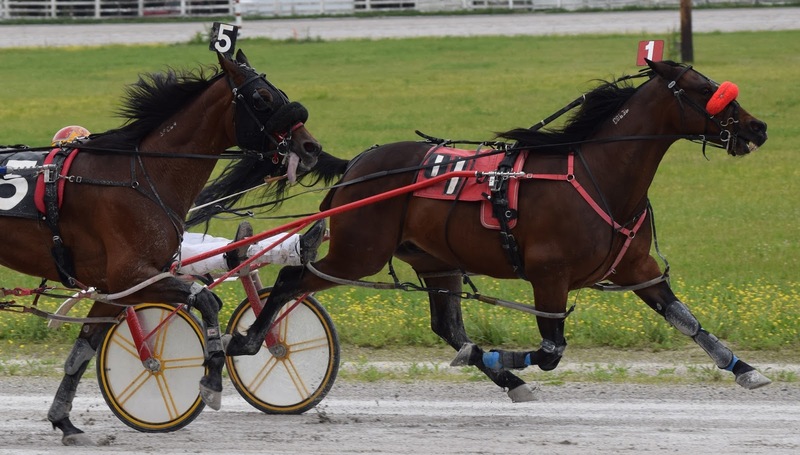 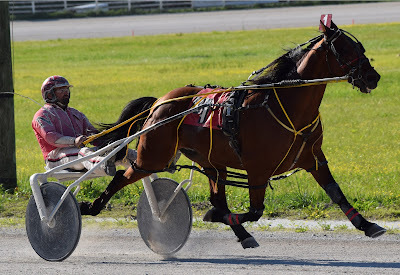 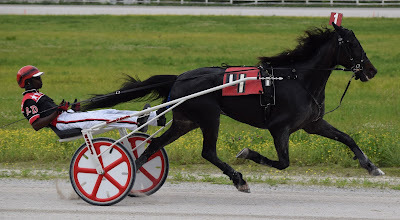 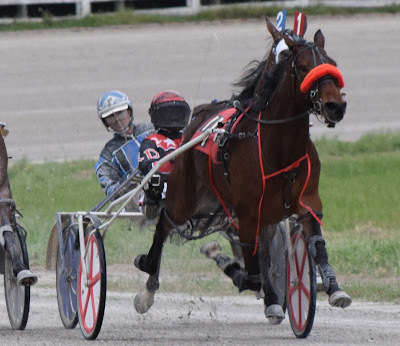 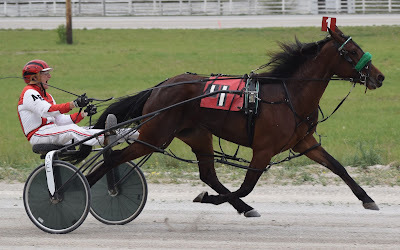 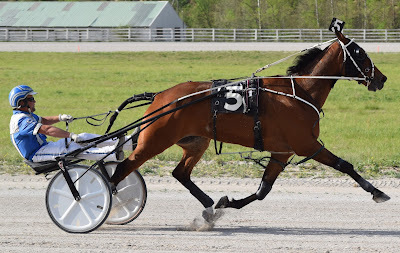 Even though Friskie Stage, with owner, trainer, driver Derrick Flowers crossed the finish line first, he wasn't the only winner of the race for maiden pacers. 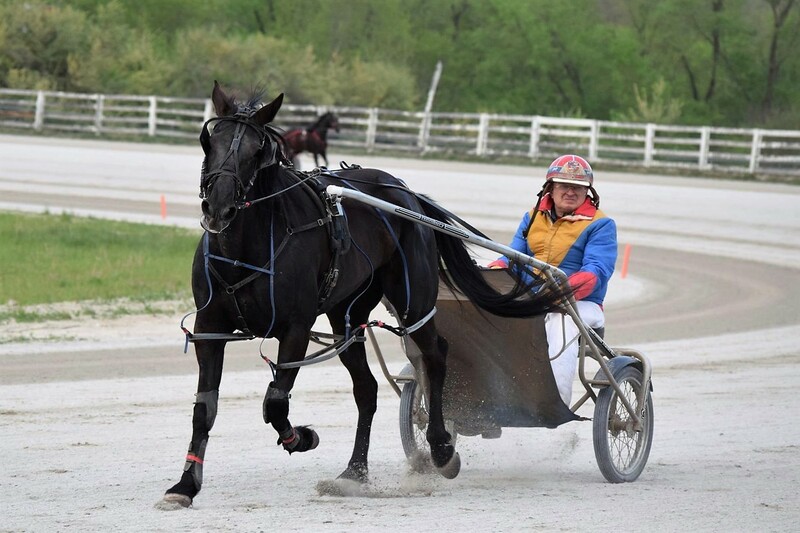 The Third Lady, owned by Herman Hagerman and trained and driven by James Stiltner II may have finished second but was the winner of the memorial blanket. 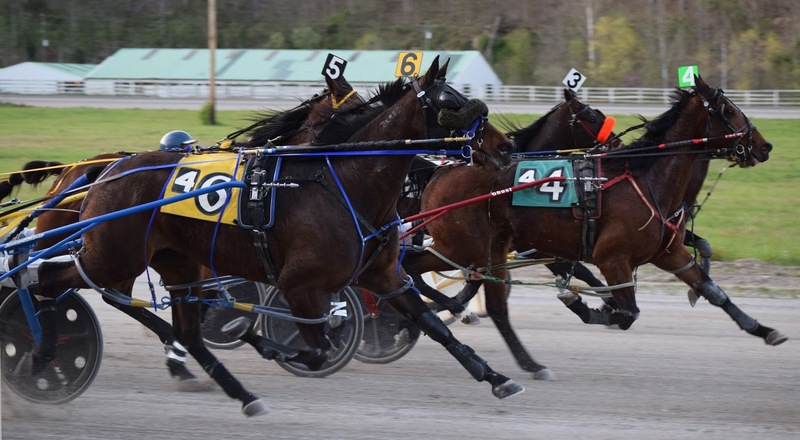 Flowers came out of the gate third from post one with Friskie Stage, but he wasted no time making his move to the lead just before the half. 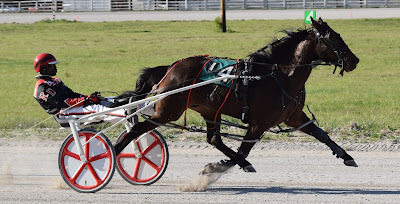 He went on to win easily by six lengths in 2:01. The three year old colt by Feelin Friskie out of the Beach Towel mare, Asian Paradise N, broke his maiden in just his fourth career start. Gerald, known for his racing stories dating back many years, was even more known at Thunder Ridge for stiffing his maiden pacers there. 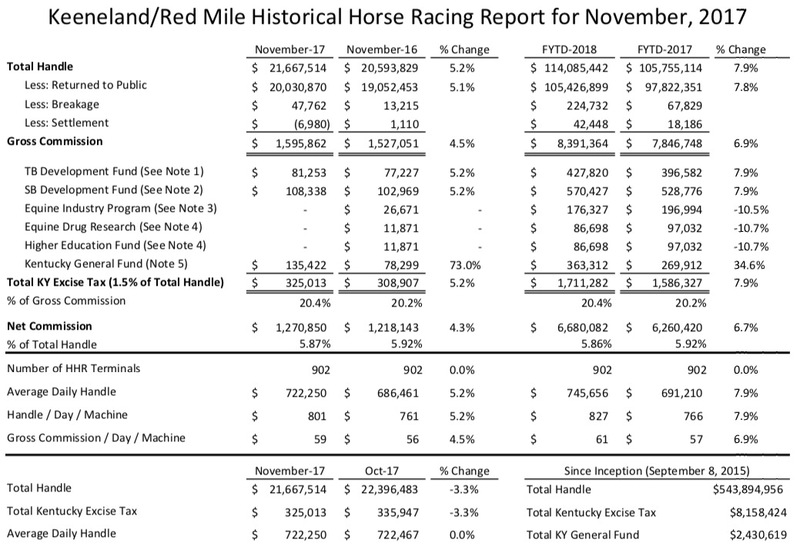 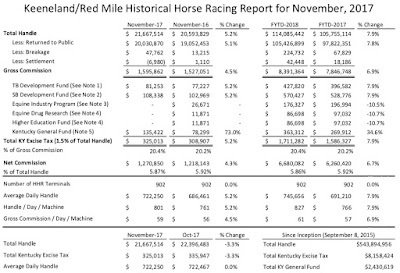 He would always talk about getting in trouble for his 'lack of effort' on them, saying I couldn't win for that purse when my horse is good enough to win at The Red Mile for more money. 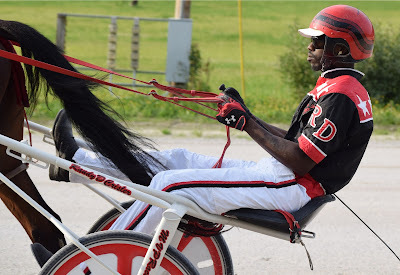 It was only fitting that the second place finisher of the maiden pace in his honor received the blanket. 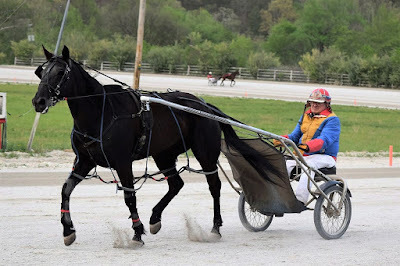 The winner will get a special gift as well. His passing late last year was heartbreaking to his racing family and he is dearly missed this season at the races. Live Racing began today, April 12th at Thunder Ridge Raceway in Prestonsburg, KY. 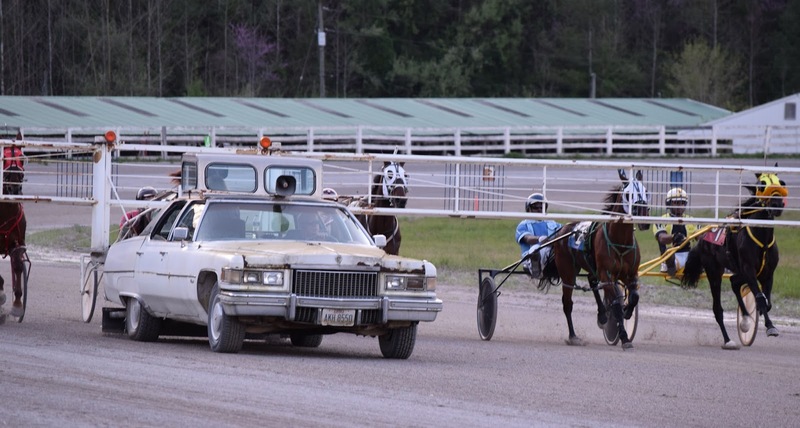 There were four races on the opening night program, with last years leading driver taking two of those. 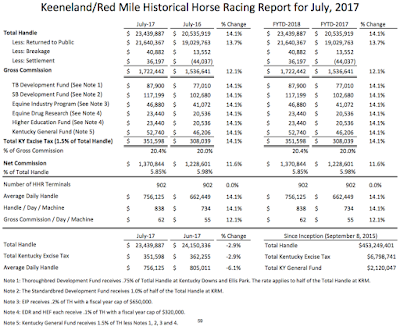 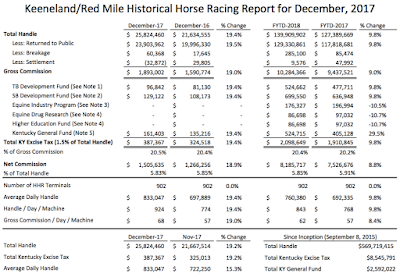 Three-year-old KYSS sustaining payment, KY Fair nominations, and three Red Mile Grand Circuit events must be postmarked by Wednesday, February 15, 2017.